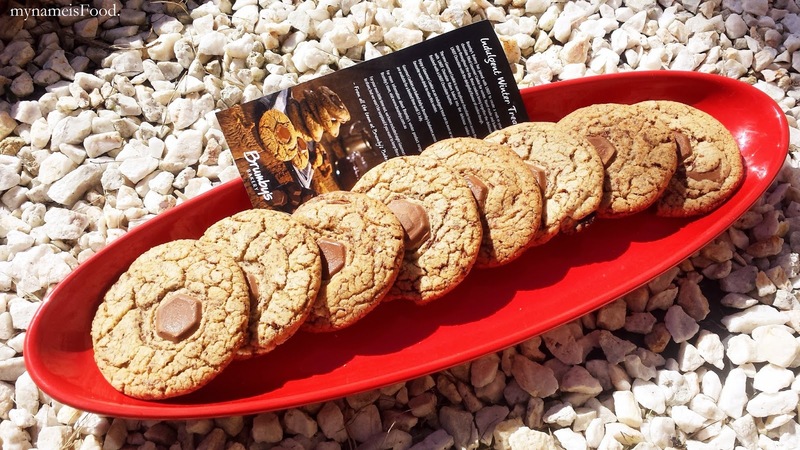 Lindt Chocolate Gourmet Cookies by Brumby's Bakery review. - my name is Food. 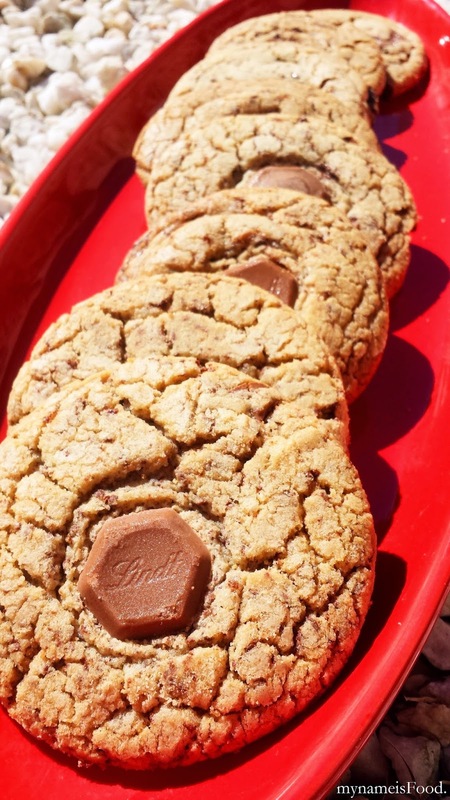 Lindt Chocolate Gourmet Cookies by Brumby's Bakery review. 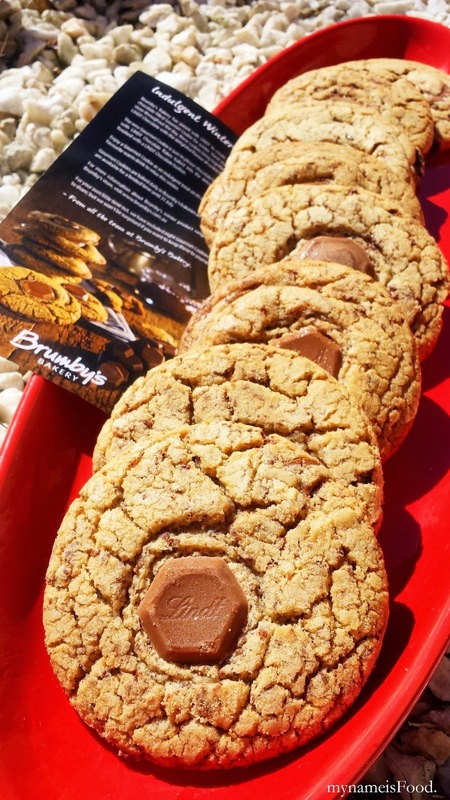 Just recently I was contacted to try Brumby's Bakery's new Gourmet cookies with Lindt chocolate for the Winter season. 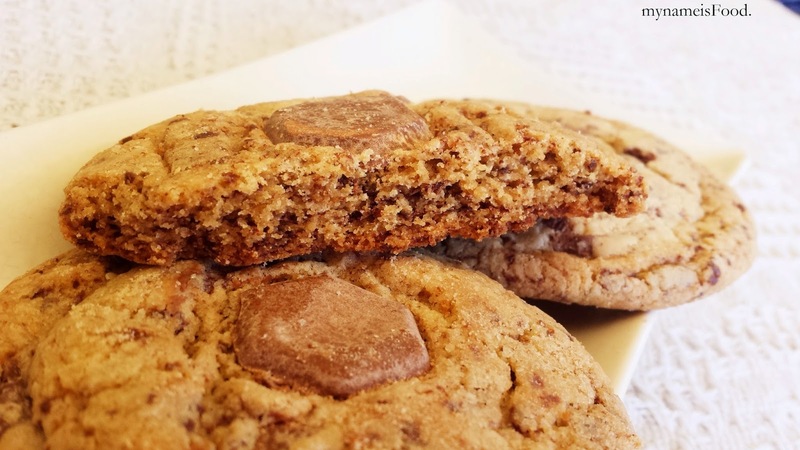 I do love my cookies, my chocolates, my baking, though not so much when it comes to sweets or even desserts that are too sweet. Sadly I didn't hear the knock in the morning, but when I was checking the mailbox, I found a little box placed in front of my front door. It was quite hot during that time so I was quite scared that it might melt or maybe the ants might have gotten to it before I did.. 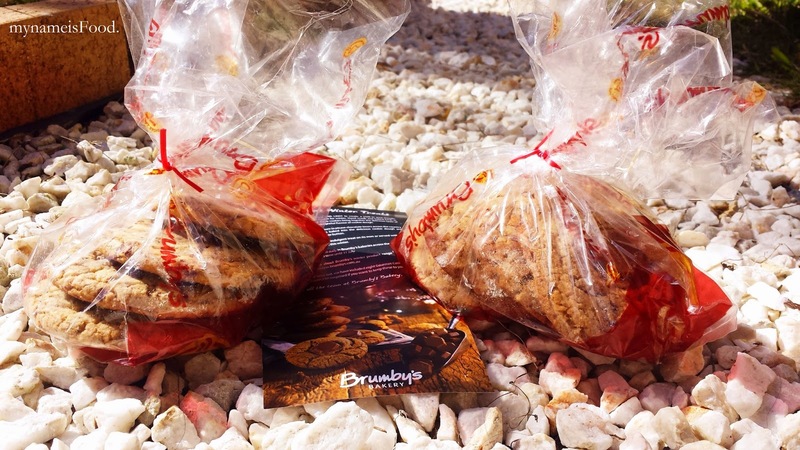 Received 2 samples of the Gourmet Cookies with a bit of information regarding it. Maybe I shouldn't have taken them out of the packet but I did, so that I can take pictures of it.. haha.. silly me.. As you can see, they are all consistent in size and all have a Lindt chocolate button in the middle of the cookies. The cookies were moist inside however I felt that the cookie base itself was a bit hard to bite but putting it in the microwave for maybe about 30 seconds or less will give them a bit more of the moistness both inside and outside. 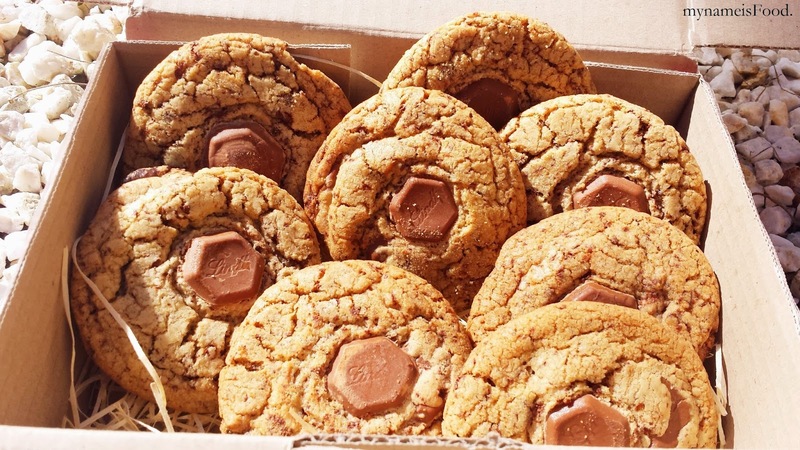 The cookies were not crumbly nor were they too sweet. Lindt chocolate just makes everything simply better. The touch of the Lindt chocolate button in the middle is wonderful. 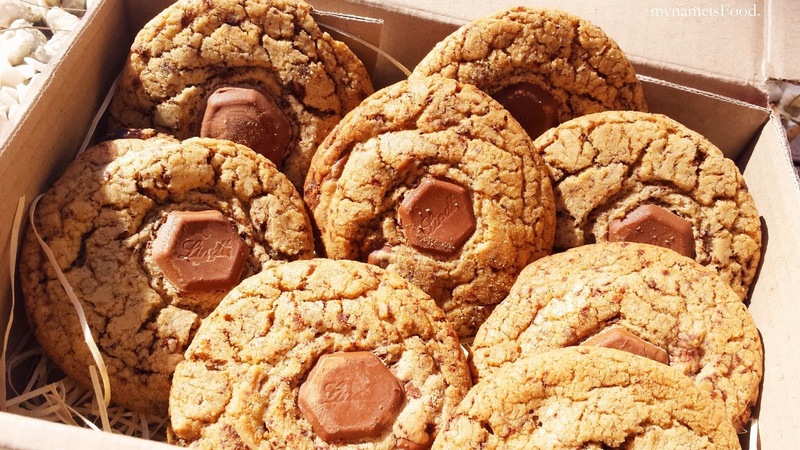 Lindt chocolate in the cookie was generous. 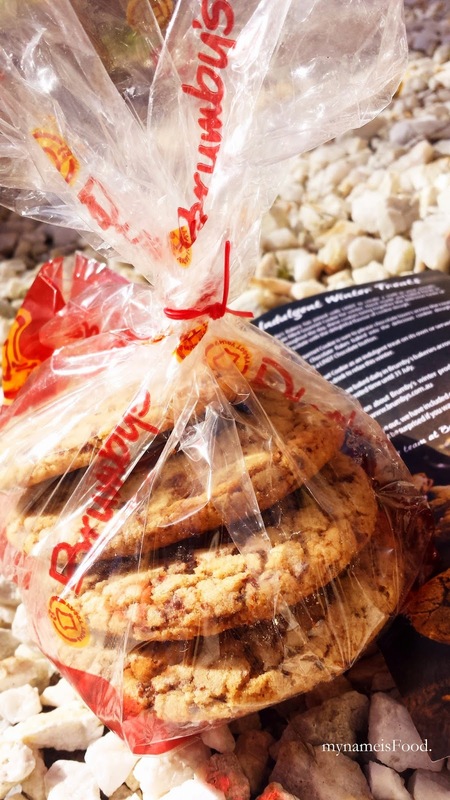 * Gourmet Cookies with Lindt chocolate were provided by Brumby's Bakery.